I thought I would give a review to share a new product that I located online just by google searching. I ran into a new business called Cipher Auto. 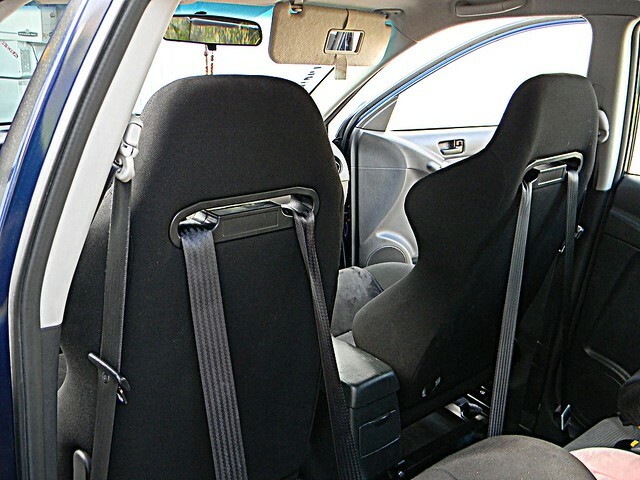 This company sells their own mark of racing seats. I did a lot of research but was not very successful in finding much. Although, I did find out that the seats are ADR approved, not many reviews were out there for these seats. I decided to take a gander a bit more and call the business. I spoke to a representative by the name of Selig who has been very helpful in answering all of my questions and has taken very much appreciation at the fact that I was curious about the seats. As I continued on with my curiosity, I then decided just to purchase the seats. 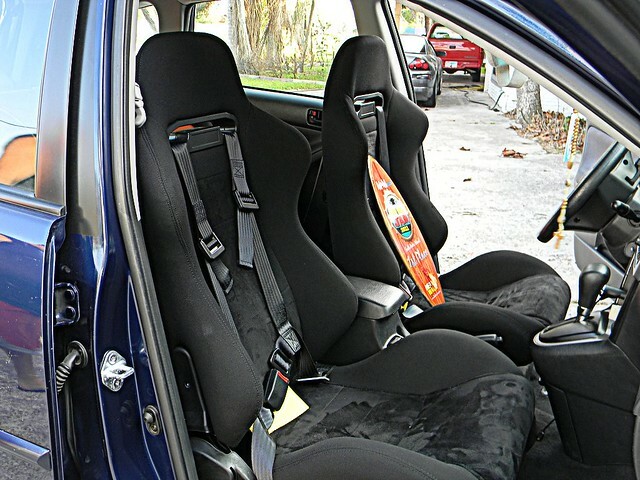 I purchased the CPA1013 Black Fabric with Suede in the center racing seats. Those appealed to me much more than any other seats they have but then again, everyone has their own tastes. I also purchased the brackets and the 4 Point Racing Harness, without camlock, from them. During the shipping process, Selig kept me up to date with the tracking information I needed to keep tabs on my seats, brackets, and harness. Once the seats arrived, I wanted to get them in ASAP but due to the fact that I have kids, it took me a bit of time to make time to get the seats in. lol. Well, the brackets were as easy as cutting a piece of cake to install. The holes matched up perfectly for each bolt. Another thing I liked is that the bracket is adjustable in height. Everything, plus some extra bolts, came with the seats. Once I got the seats together, I just couldn't wait to sit on them. Well, the seats were in and so far, I have loved them. I haven't had any issues with the seats. They are nice and firm and are very comfortable. Now I am a somewhat big guy, 262lbs at 5'11" tall and the seats hug me just right. My wife feels very comfortable in her seats as well. Well, here are some pics of the seats. I took my car to show off at the Spring Break Jam Car Show at South Padre Island TX. Ended up coming home with a 1st place award in my class. 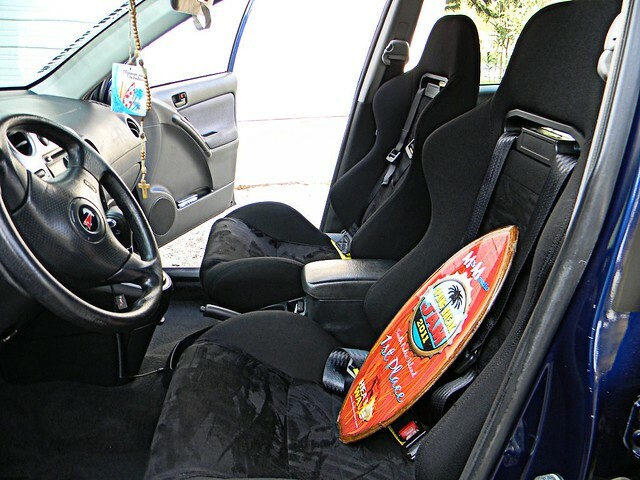 By the way, even though I have a Pontiac Vibe and my car is not that fast, the seats do look great in the car and are much more sturdy than cheapy seats that you can find on ebay. I had purchased seats off of ebay a long time ago for my 97 Eclipse and they broke as soon as I put some pressure back on the seats. I actually can say that I can compare them to the feel of some Bride Seats that I have sat in before. Well, if anyone decides on purchasing seats, feel free to let Cipher Auto know that Mando referred you. Now for what everyone has been waiting for, here are pics of the seats. nice. they only do seats? comfy? plans for a matching rear set? Check out cipherauto.com for more info on the seats if you are interested. I just wanted to share this with everyone who is looking for some nice quality seats for a price less than the name brand seats. I actually have been thinking about the rear seats. I need to find the exact fabric first cuz my wife and I are going to be doing that next. 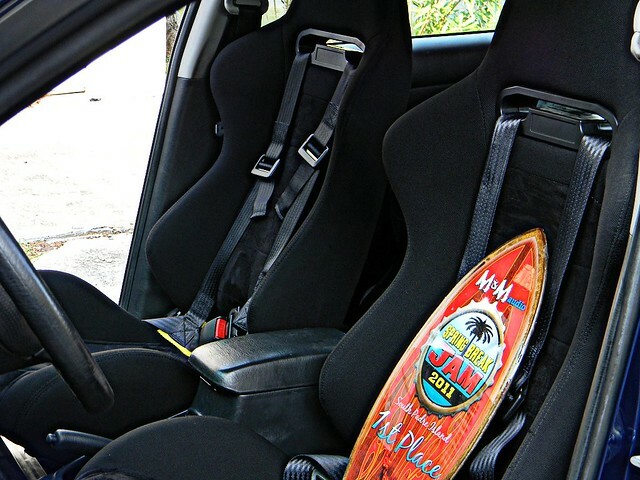 Im usally not a fan of racing seats but they match really good. So in this case I think they looks very good. Very cool, glad you finally got some seats you like! Not bad at all. I like. thnx guys. I like the seats a lot!